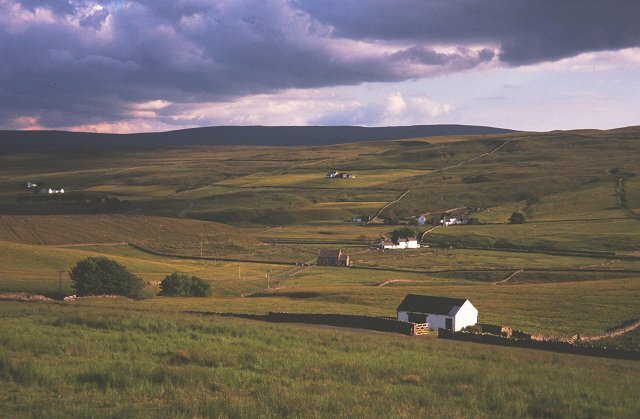 "Upper Teesdale, looking over to Mickle Fell. The cottages on this estate are all painted white. This is supposedly because one of the landowner's family got lost and was saved by seeing a whitewashed cottage at night." Photo by Richard Webb, 2002.